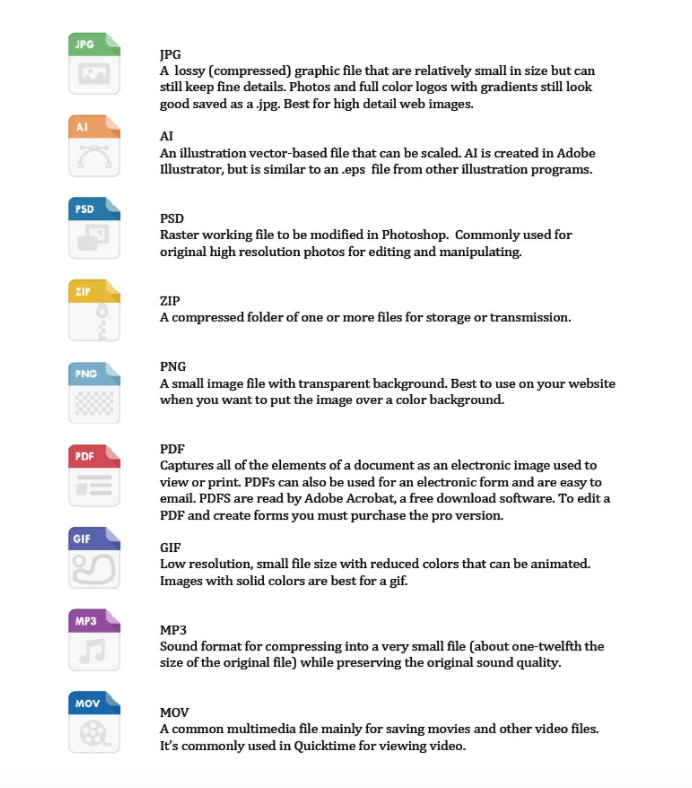 A quick guide to file types. Knowing what the end-use of a file starts with the way a file is provided. 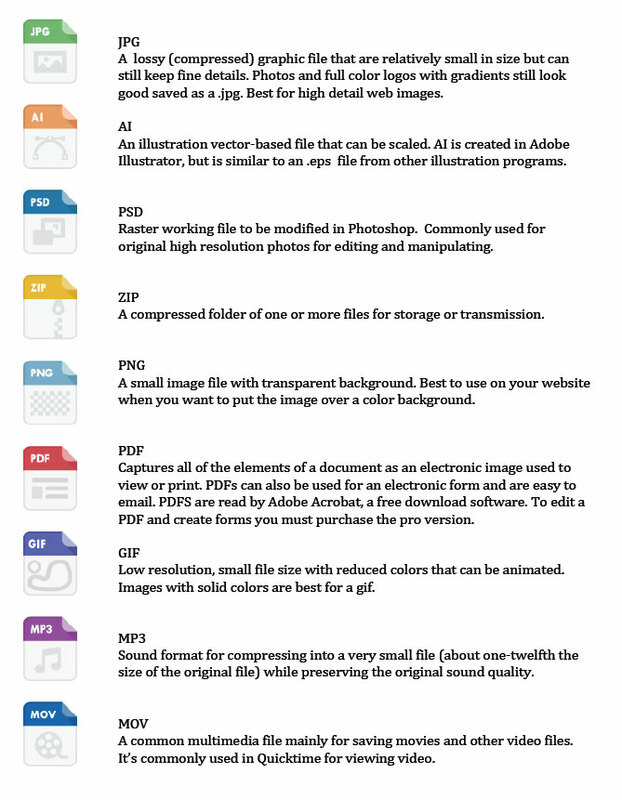 If you’ve ever been asked to provide a file for your marketing needs but haven’t a clue what they’re asking for, here’s a quick guide to help you understand.